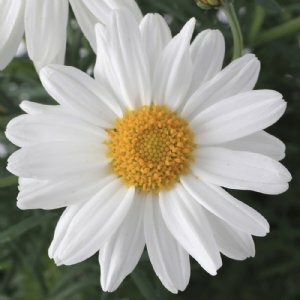 Argyranthemum, commonly called Marguerite Daisy, produces lovely, daisy-like flowers and dark green foliage that adds interest, even when there are no blossoms showing. Grows well in containers, beds and borders. 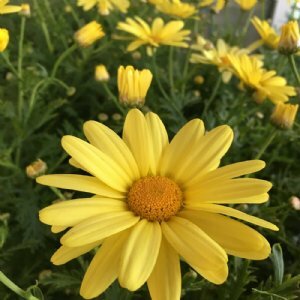 Brilliant lemon-yellow flowers that flower all season long.